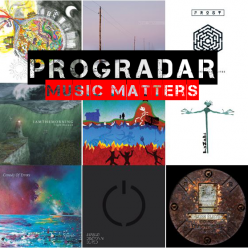 As most people who have followed my reviewing career will know, I am a big fan of instrumental albums and have reviewed many in the past 3 or 4 years, some excellent, some great and some, well, okay. 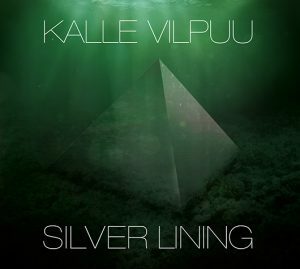 I am also a sucker for great album covers so when the chance came to review renowned Estonian guitar god Kalle Vilpuu’s first solo album ‘Silver Lining’, and I saw the minimal but stylish artwork by Hannes Aasamets & Mihkel Maripuu, I was very happy to take it on. I’ve been really busy this year but I have finally found time to put my words down and deliver my review of this ultimately satisfying collection of songs. Kalle Vilpuu was born in the Estonian miners’ town of Kohtla-Järve on July 24th, 1963. He started playing drums in a school band at the 1st Kohtla-Järve High School. 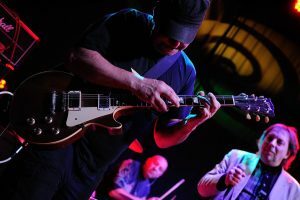 Kalle soon switched to the guitar, however, due to a lack of serious interest in the drums and the rest, as they say, is history. 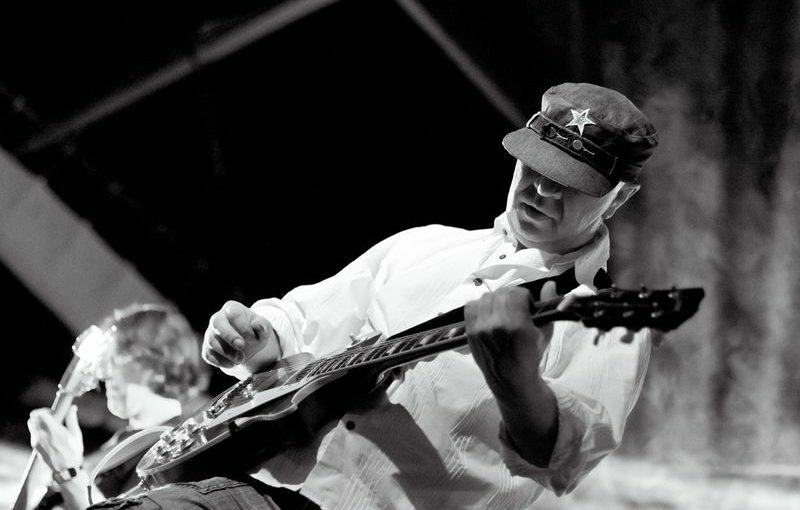 He has had a lengthy and interesting career, first playing in one of Estonia’s biggest band’s, Seitsmes Meel, while still studying at the Georg Ots Tallinn Music School. 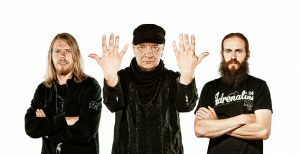 Kalle has played with some of Estonia’s biggest rock acts including Tõnis Mägi’s 777, Ultima Thule, Marju Länik’s Saxappeal Band as well as hard rock act House of Games. After leaving HoG, Kalle started composing and recording his own music that culminated in 2013 in his first solo album ‘Silver Lining’. 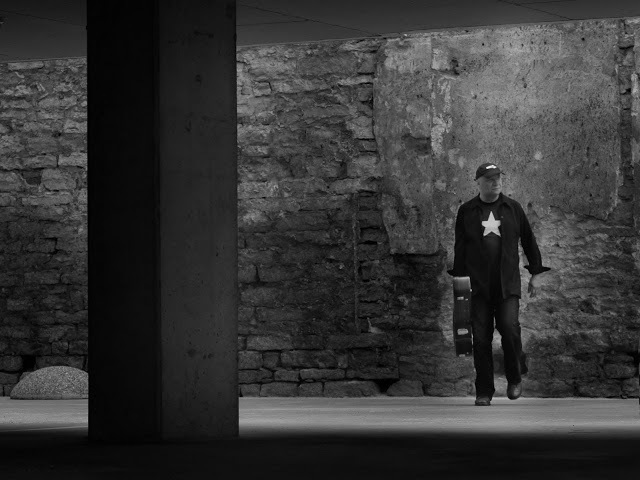 Now he continues to play for Ultima Thule and Seitsmes Meel is back together after a 23 year break, busy working on new material and playing gigs. Andrus Lillepea (drums), Henno Kelp (bass guitar), Mari Pokinen (vocal), Tarvi Jaago (flute), Tiit Kikas (violin), Martti Mägi (violin), Imre Eenma (bass, viola da gamba) Eduard Akulin (trombone) and Indrek Kruusimaa (flamenco guitar). I have listened tot his album many times now and I have to admit it has taken its time to work its way into my affections. At first it seems a disparate collection of songs with no common thread but, give ‘Silver Linings’ time to appreciate its subtle nuances and stylish musicianship and you will realise that this is one of those albums that needs repeated play and will stay in your memory a lot longer for it. Opening track Anomalies has much of the feel of a Satriani/Vai style track, if a little less in your face and you immediately respect the quality of Kalle’s playing, it has a sci-fi feel to it, like a harder edged Public Service Broadcasting. We move on to Unforgiven with its mystical, laid back opening which then proceeds into a determined, driving track but one which also has a rather nice ethereal flute as accompaniment. Here we get Kalle firing some burning licks and thunderous riffs, once again demonstrating his undoubted proficiency. Next Inferno, a piece of music which belies its title to deliver an otherworldly feel of peace, calm and harmony. A bewitching vocal performance adds some Celtic drama and gives a real ‘World Music’ appeal to the track. Industrial No.4 does exactly what it says on the tin. A hard rocking industrial metal riff powers this leviathan of a song along. Pensive and solemn, I’m put in mind of hard-edged industrial rockers Ministry as the repetitive riff gets you nodding in appreciation, hitting you like a ten ton heavy thing! Fast paced and fluid, In The Back Of My Head charges into view like an irresistible force and an amalgam of sci-fi films all rolled into one. The solo in the middle of the track is a really powerful piece of playing that just adds to the drama of this juggernaut, a superb monster of a track. An electro-psychedelic homage to Satriani’s ‘Surfing With The Alien’, The Aliens (Have Landed) is quite a fun track that bounces along like it hasn’t got a care in the world. Discordant, left-field and just out there, it adds a real note of fun and mystery to the album. Trapping is like the X-Files turned into music, quite disturbing and with a real creepy edge to it, it is quite deliciously suspenseful and apprehensive and makes the hairs on the back of your neck stand up. There is a feeling of tension and anticipation running throughout and it doesn’t let up right until the end. Dreamlike and hypnotic, The Touch Of An Angel washes over you with its calming influence and mesmerising vocal backing. You feel yourself becalmed and in an oasis of musical serenity. That feeling continues with the delightfully charming and alluring notes of Rosie. Two and a half minutes of enchanting and sublimely soothing tranquility, just let all your troubles float away to leave you totally unruffled. Forgiven gives us heavy, persistent riffs and matches them with a mystical feel of eastern promise to deliver a haunting and yet vibrant piece of intrumental music that has an inner vitality urging it along. We end with the title track Silver Lining, a song that has an initial anxious edge to it, treading water with some stylish electronic beats before a deep and dense guitar takes up the tale. It reminds me a bit of Shoot High, Aim Low from Yes’ much maligned 1987 release ‘Big Generator’ but without the vocals, obviously! 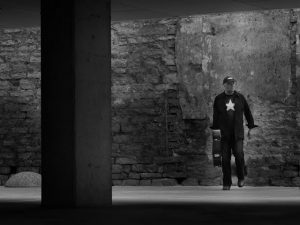 This track goes off in its own direction with the addition of Kalle’s unforgettable soaring plaintive guitar playing. Quite a moving piece of music to close out the album with. After the first couple of listens to this album I thought that, despite the obvious musical talent on show, it was a collection of disparate songs that were great in their own right but didn’t quite click together. Well, how wrong was I? Please give this stylish, classy release time to work its undoubted charms on you and you will come to realise, like I did, that is a really rather excellent collection of songs. Another great recommendation from me to you! Buy ‘Silver Lining’ on digital or CD from a selection of outlets.